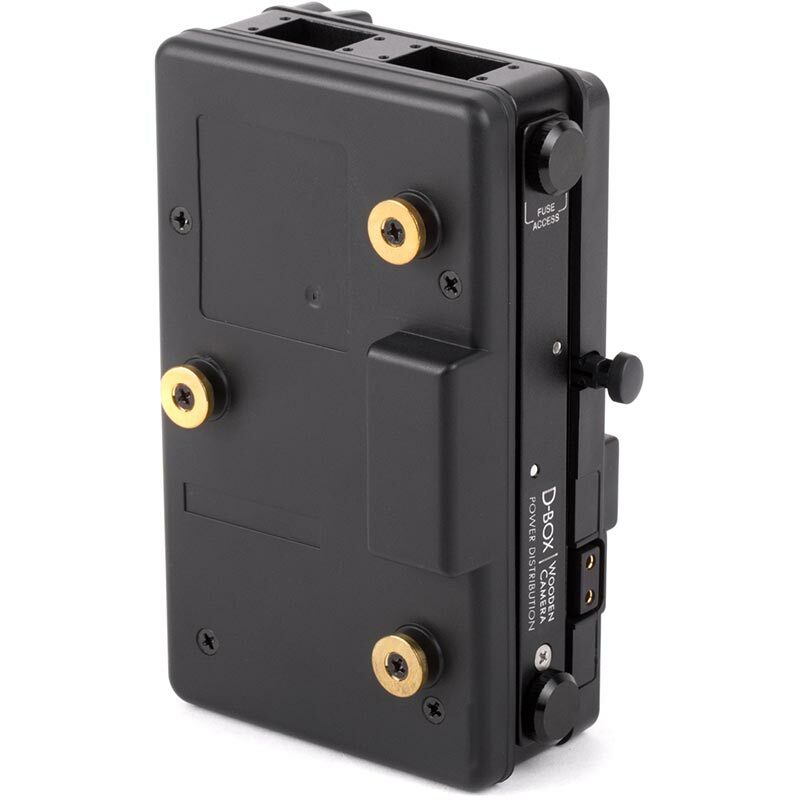 D-Box (V-mount Battery Side to Gold Mount Camera Side, Base Unit) is great for converting Gold Mount specific cameras to V-Mount batteries. An example of this would be the VariCam LT which ships standard with a Gold Mount plate. 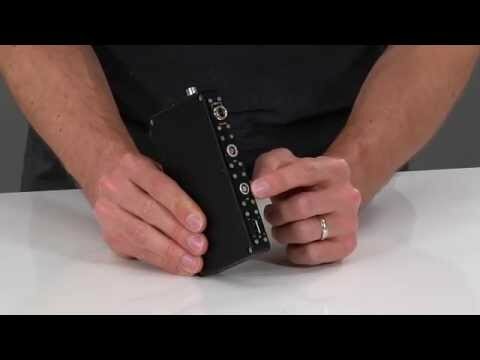 This device would allow you to have power distribution and use V-Mount batteries. Power is passed though to D-Box and to camera. 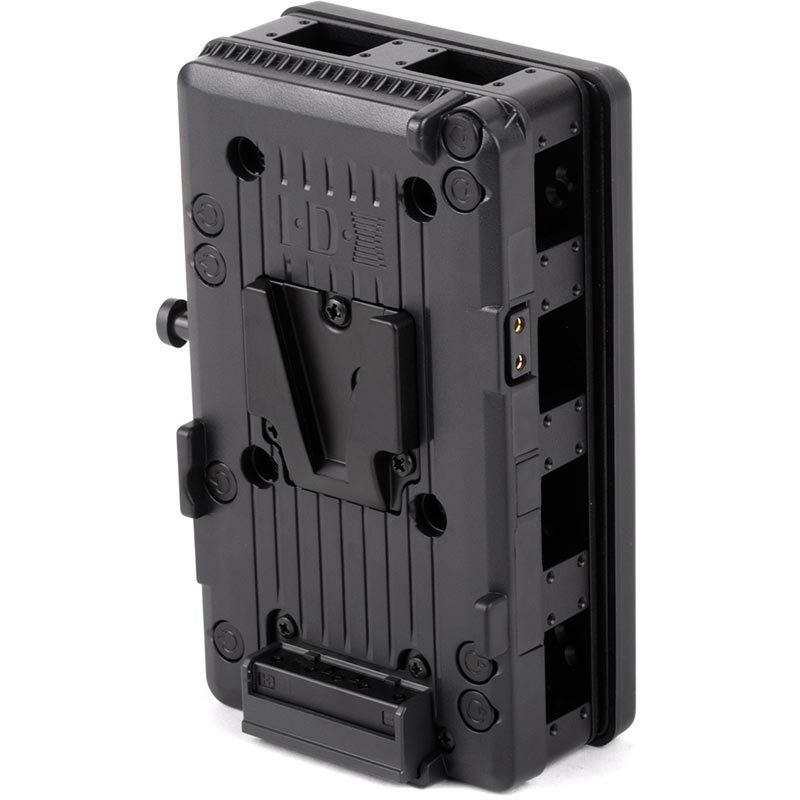 D-Box (Power Distribution) allows for user selectable power outputs including 2 pin connectors, 4 pin connectors, 4 pin Hirose, 3 pin Fischer, D-Tap, and USB. 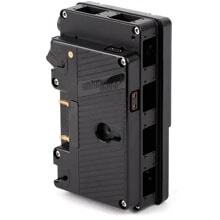 Allows for up to 6 simultaneous outputs with a maximum draw of 10A limited by an easily accessible fuse. Left side panel opens to service fuse and to disconnect and remove connector panels. Dimensions: 50.8 x 101.6 x 152.4 mm / 2 x 4 x 6"